The children performed the play 'An Inspector Calls' on Thursday 13th July. The play is about Ofsted coming to Carr Manor to inspect the school. 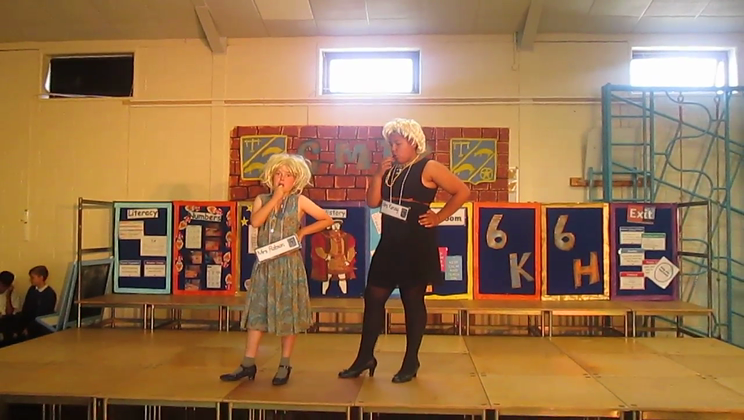 Lots of the children played the roles of the teachers - including Georgia and Jeevan (above) who played Mrs Hayes and Mr Kellett. Even Mrs Kenny and Mrs Robson were in it.